Since the 2008 global financial crisis, banks have been fined over $300 billion for regulatory misconduct that includes extensive mishandling of customer relationships. Most banks rue that keeping up with taxing regulations amid shrinking margins has affected their focus on innovation. Between banks’ undifferentiated offerings and consumers’ demand for greater personalization, exists a wide chasm. Enter fintechs with a laser focus on customer experience. Now, regulators are ensuring the momentum only accelerates. Open banking, an umbrella term comprising regulations, frameworks and initiatives, describes how banks can share transaction and customer data with fintechs and even non-banking players to build products and services across a spectrum of innovative use cases. In Europe and the UK, open banking has been mandated with regulations such as PSD2 and Open Banking. In APAC, most regulators are creating frameworks to encourage banks to develop APIs for use by developers and third parties. Conceptually, open banking promotes participation, collaboration and risk taking, but it also demands openness from a traditionally conservative industry. For banks, who are used to the role of the de facto financial data custodian, open banking raises disconcerting questions on data privacy and data security. Naturally, the path to implementation is fraught with challenges. Large European and UK banks have been accused of either blatantly blocking access to data or showing a ‘semblance of compliance’ by sharing the bare minimum data mandated by the regulations. Banks, in their defence, cite that opening up their data vaults involves costly and time-consuming changes to legacy infrastructure. There’s also no precedence of what constitutes reasonable levels of data exchange with third parties. High regulatory pressures, reputational damage and brand erosion are the other major apprehensions banks have of open banking. Despite the challenges with open banking, many banks have started to provide developer portals, offering APIs, software development kits and support to third parties. Such API-based middleware between banks and third-party providers can result in solutions such as personal finance management tools, interest calculators and ATM locators, which are sold as either standalone applications or integrated into a product suite, all of which may or may not be owned by the banks. A downside resulting from the proliferation of such independent solutions is that customers end up dealing with a fragmented set of service providers – loans from one company, investment advice from another, deposits from a third and so on. But what if banks acquired a holistic view of how different offerings, their own and those from third parties, work together to serve customers effectively? Banks that recognize the significance of such a view also understand the inevitability of the new reality – banks as marketplaces or banking as a platform. Essentially, banks are unlikely to remain “one-stop destinations” given the banking needs of diverse customer groups, each with their own complex requirements for banking products and services. Take Monzo and Starling, two UK based challenger banks, that are creating and nurturing ecosystems of external partners. For instance, Monzo, established in 2015, offers just one product -current accounts. But with a banking license, it can offer much more. Instead, Monzo has chosen to focus on building robust APIs and strengthening developer communities, strategies that’ll keep Monzo focused on its core objective - delivering superior experience for its customers by curating best-of-breed products and services from its network of independent developers and third-party providers. Clearly, banks that are willing to go beyond what’s mandated by open banking regulations are more likely to not just accelerate their digital transformation but also identify new revenue opportunities. solarisBank and Fidor Bank, both Germany-based fully licensed digital banks, have leveraged their regulatory and technology infrastructure to develop modular banking kits. Their white labelled solutions have enabled non-banks such as fintechs, telcos and ecommerce companies to become financial service providers. Over 30% of Fidor’s revenues is attributed to its platform-based technology offerings. It’s not just new age banks. Some of the largest banks such as BBVA and Capital One, in addition to building developer ecosystems, have started to monetize their APIs used by third parties. Changing customer and competitor dynamics should compel banks to explore new services that don’t necessarily fall within the ambit of conventional offerings. Establishing and leveraging relationships with a host of service providers could become a strategic and difficult-to-imitate advantage for banks. A 2017 report by Accenture states how banks are well positioned to offer non-bank and add-on services such as home security, roadside support – peripheral yet essential services associated with traditional banking products like mortgages and vehicle loans. For instance, in the mortgage space, banks can build a network of property firms that it can use to recommend best fit solutions based on customers’ location, budget and property preferences. With banks providing the validation layer, in terms of verifying and onboarding only credible partners, customers are assured of dealing with trustworthy parties. The property verification service can be either offered by banks directly or through their fintech partners. Such B2B-2-B2C models could emerge as major revenue generating sources for banks. In Closing: Open banking will undeniably catalyse profitable innovation in banking. By creating a level playing field for companies of all sizes to enter financial services, open banking’s biggest impact would be in making the world a more equitable place by improving financial inclusion for the world’s 2 billion unbanked individuals to access affordable products and services. Deepthi Rajan is Head of Technology Upskilling and Communication at Société Générale. Previously she was leading the Market Research group at Royal Bank of Scotland, where she focuses on research and insights around strategies on Supply Chain Services. Her primary focus areas are digital sourcing strategies and enterprise-wide transformation. 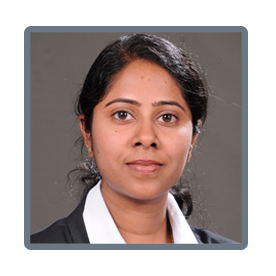 Prior to joining RBS, Deepthi Rajan was IT Innovation Strategist at one of the largest private banks in India, evaluating myriad technologies and their applications across multiple industries. Her areas of interest are Analytics, IoT, Blockchain and Digital Strategy.